As we’ll see this isn’t the best written recipe: great taste but the cooking time was so far wrong it was laughable, and I ended up baking the thing three times! This basically gets whisked together. I used the whisk to avoid having to do lots of machine mixing bowl transferring and washing up. The butter and chocolate chips get softened/partially melted in the microwave before everything gets mixed up. 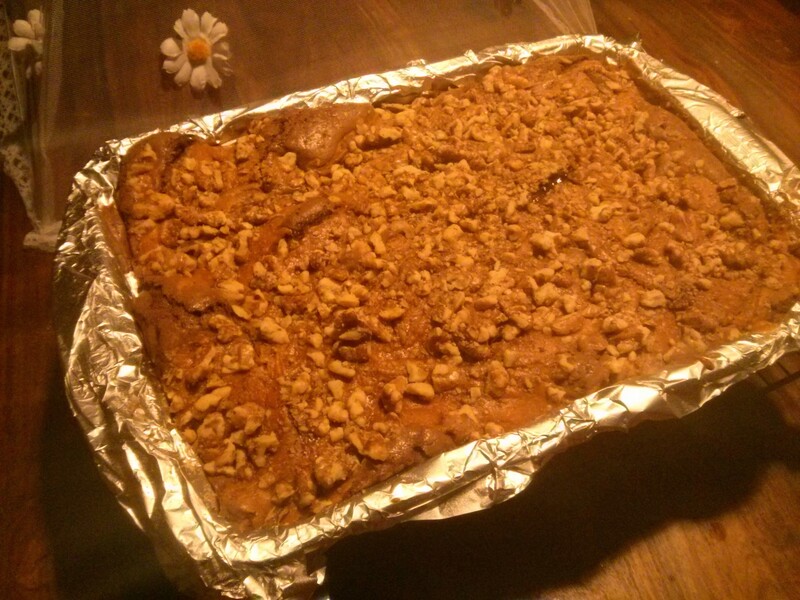 The chocolate mix goes into a large foil-lined tin, then the pumpkin mix is dolloped on top. 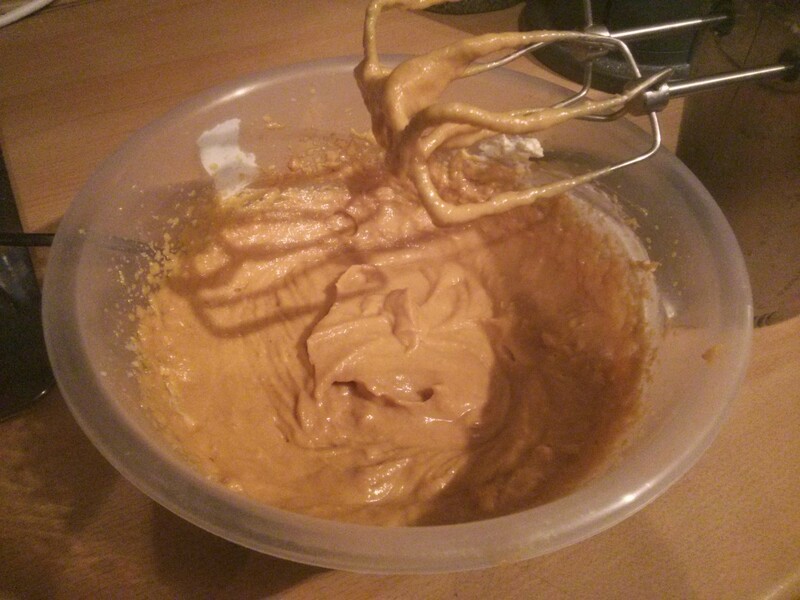 As you can see there’s way too much pumpkin mix for a marbling effect. By the time I’d done some swirls with a knife it was basically a layer of pumpkin on top. Not the worst thing in the world given how yummy it is! 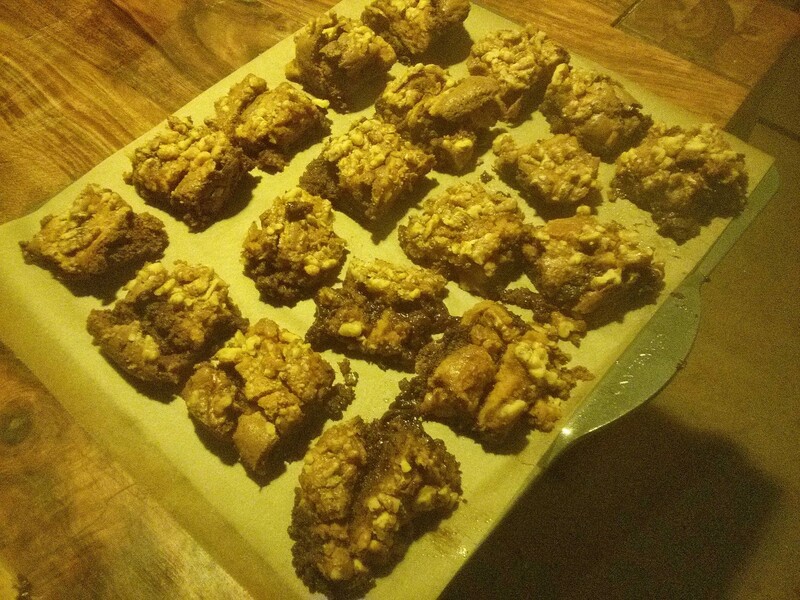 Then it gets scattered with walnut bits: once again the recipe says to use way too many, but I’d already crushed them up, and I like walnuts, so on they go! After an hour cooking at 150c fan… the top had barely set, and it was clearly still liquid underneath. SO it went back in the oven… eventually for an extra 30 minutes and it was still looking really gooey. 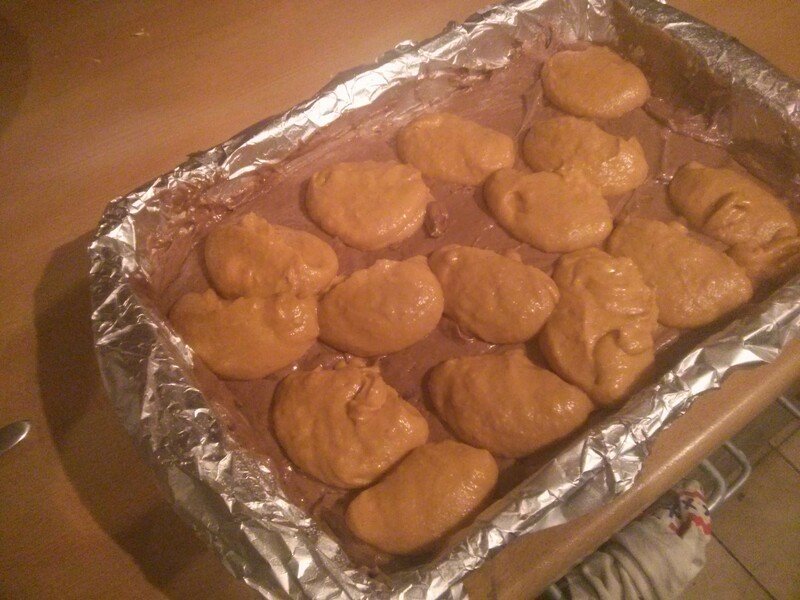 After cooling I lifted it out and cut into pieces… and the middle bits were still liquid. They were never going to be saved, so they got eaten: yum! So they cut up pieces went back in the oven for another 20 minutes, and by this time they all seemed pretty stable. So… as I mentioned: yum! Shame the recipe needed nearly double the cooking time stated! 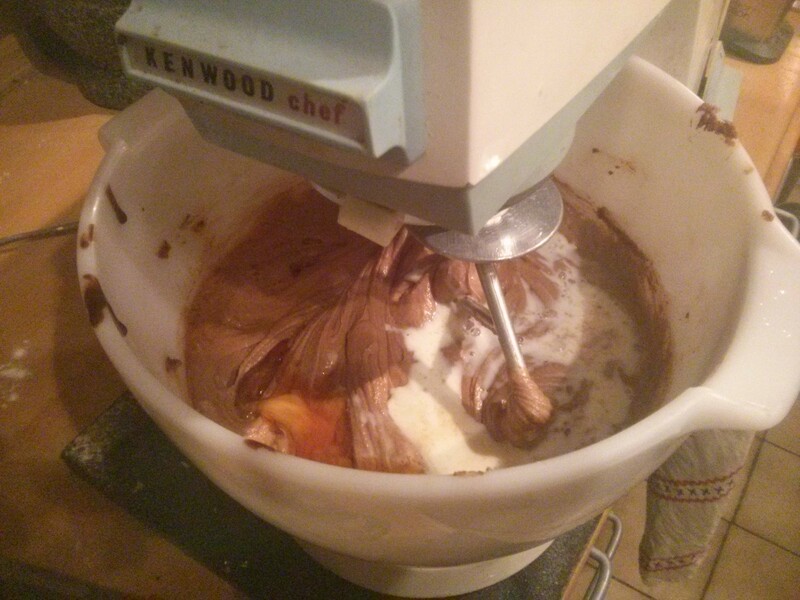 Bit of a mix-up in the recipe but you sorted it out so well done.